I was completely overwhelmed when I opened the box and found a beautiful Hobbycraft sewing basket, complete with everything I needed to have a pop at making this gorgeous cushion cover. I knew I would be receiving fabric and instructions, but had no idea that I’d be getting such a cute kit. Seriously, thank you! 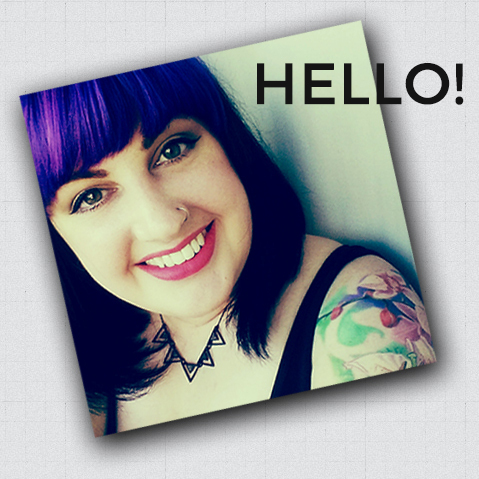 I’ll be sorting some of my hoarded dolly crafting supplies into this really soon. For someone who’s a bit rubbish at sewing I do seem to have amassed quite the button collection… anyway. I sat myself down with my super bright and cheerful Candy Stripe Sanderson fabric, and my pretty little sewing kit and after about an hour and a half (with a tea break, I’ll admit!) look at what I made! 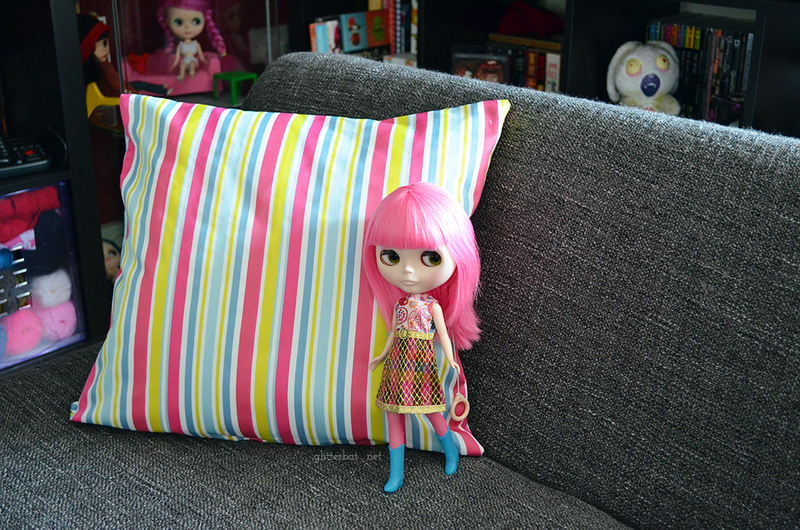 Turns out it’s almost laughably easy to make a cushion like this, because you’re literally just sewing straight lines! You start with your two squares of fabric, pattern side inwards and attach the zipper. Stitch around the remaining three sides, then snip off the corners to reduce bulk. Turn the whole thing inside out (using a pencil to poke the corners straight if you need to) and finish it with an iron to make it all crisp and new. Voilà! A lovely pop of colour for my living room! 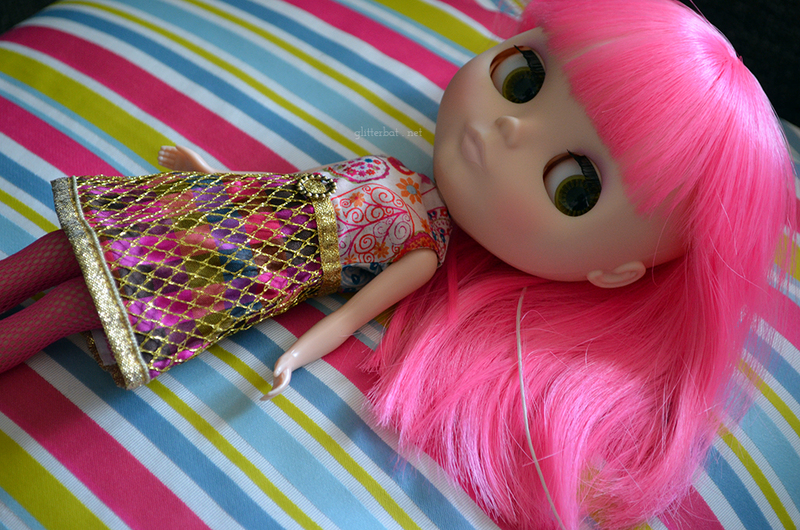 One of my brightest Blythe dolls is clearly impressed with my new found sewing skills (haha!) – sorry love, don’t be getting any ideas about me sewing in miniature just yet! Thanks again to Rodgers of York for getting me involved with this campaign – I’m pleasantly surprised at how nicely this cushion came out, and will definitely be attempting some more home made furnishings in the future! I am so jealous I’ve been wanting to learn to sew for ages!